When it comes to the world of indie gaming, I try and sample everything I can and usually end up finding multiple gems every few months. The original Overcooked completely slipped by me because I always heard it was bad as a solo experience and had no online multiplayer. Recently, I got to try the original thanks to Xbox Game Pass and while I found many things a bit too hard initially, I grew to like it a lot in a few hours. Fast forward to today and I’ve been playing a ton of Overcooked! 2 across both PS4 and Nintendo Switch and it has been hard to put down for a lot of reasons. If you’ve played the original, you’re probably wondering what’s new outside of the big addition of online multiplayer. 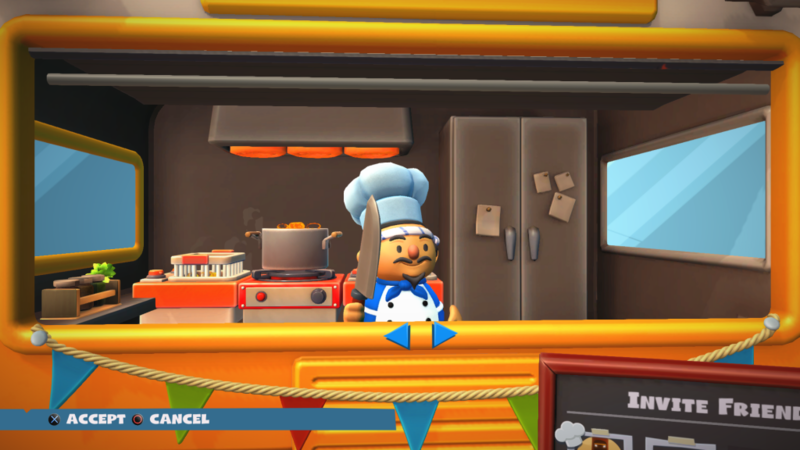 There are quite a few small things that I’ve gotten used to like the camera not zooming or panning when you switch chefs which was beyond annoying in Overcooked Special Edition on the Switch and some of the new modes that let you get into the action quickly. The biggest takeaway is that there’s a whole lot more Overcooked in every aspect. There are more chefs, more recipes, more kitchens, and more potential situations of hell when you play with friends beside you or online with friends or randoms. The one thing that you will instantly notice is the production values are a lot higher here when it comes to sounds or music. The new mechanics like a permanent throw button for raw ingredients and dashing being a focus for some levels make things much better in play. 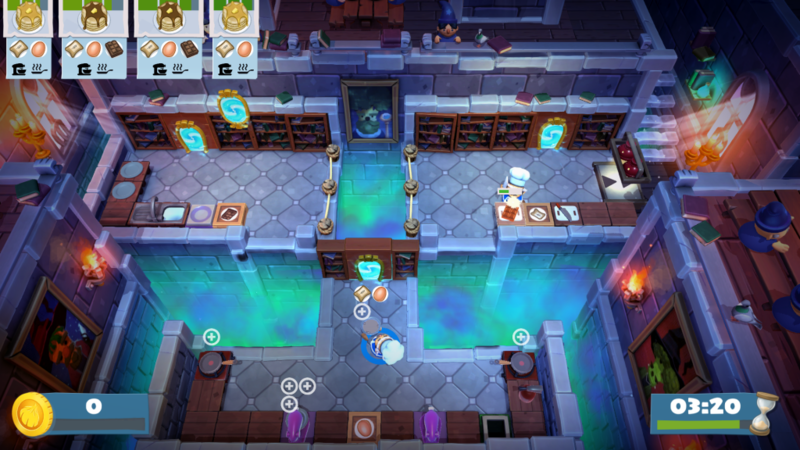 The core game still has you playing a chef or multiple chefs while juggling various responsibilities and avoiding the multitudes of obstacles and level changes to serve dishes. You can stick to the story mode that lets you drive the bus (the one from the title screen) across different locations for varying difficulty levels with the aim of three starring everything if you’re a completionist like me or get into the arcade or versus modes. Arcade Mode will be the most played mode for many people once they finish the story because it is randomised and super quick to get into. The good thing about the mode in particular is you can just party up online and head into a random level with a friend from a particular kitchen theme. There is a downside though and you sometimes get put into a late game (story wise) level that is pretty damn chaotic so keep that in mind. While new recipes have been mentioned a couple of times when the developers talk about what is new in this release, there is one thing they could’ve done to make things better for players. Cook Serve Delicious has an option to just try out a recipe before you buy it for your kitchen in a dummy scenario. This practice mode like option would’ve been great to check out new recipes before actually getting thrown into a kitchen with its own mechanics to deal with in addition to a new recipe. You could always just restart the level but that wastes more time. My biggest concern was with solo play and how that might get a little boring after a few levels. When it comes to balance, the order requirement for different stars scales depending on the amount of chefs you have. The requirement is much lower for one chef versus if you’re playing with a friend or random person online. I feel like another change needs to be made to some of the levels. Washing dishes is a big part of some levels and it is beyond annoying when you’re playing solo. Getting into the groove of complex recipes and switching quickly as you harmoniously deal with multiple chefs with one controller is completely nullified by having to drop everything and focus on washing dishes or keeping track of that. Solo play should have this mechanic removed because while it is just another mechanic while playing with others, it feels more of a hindrance in solo mode. Online mode is easily the most requested feature for the first game and I’m glad to have it in the sequel. I played a few hours of online spread over the last few days on both PS4 and Switch and the results are mostly great. Since it seems to be p2p, there have been some instances of lag for one person in a group of 4 online or even when playing with a friend in another country. This is something to keep in mind if you play with people far away from you. It isn’t game breaking but gets noticeable sometimes. Most of my games were lag free on both platforms which is great. I will have a full look at the Switch port’s visuals and stuff in the upcoming Re:Port Review but playing this on the PS4 Pro has been great. Everything plays smoothly and I haven’t run into a single moment of lag or stutter. One thing definitely worth mentioning is how epic the music is. I hate using the word epic but I mean it when the music here makes you feel like you’re actually cooking inside a huge wizard’s castle in some of the levels. 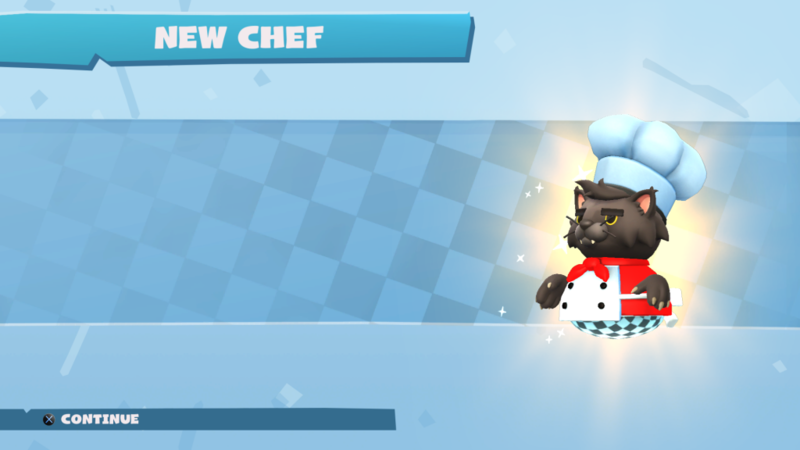 Overcooked 2 has been a fantastic experience so far. Playing it on two platforms with slightly different button layouts has been hilariously infuriating sometimes but it is awesome to see Ghost Town Games and Team17 getting this out on all platforms at the same time. It is a definite step up from the first game and is now my goto party game for when anyone is over. I can’t wait to see what they add to the game after launch. Overcooked! 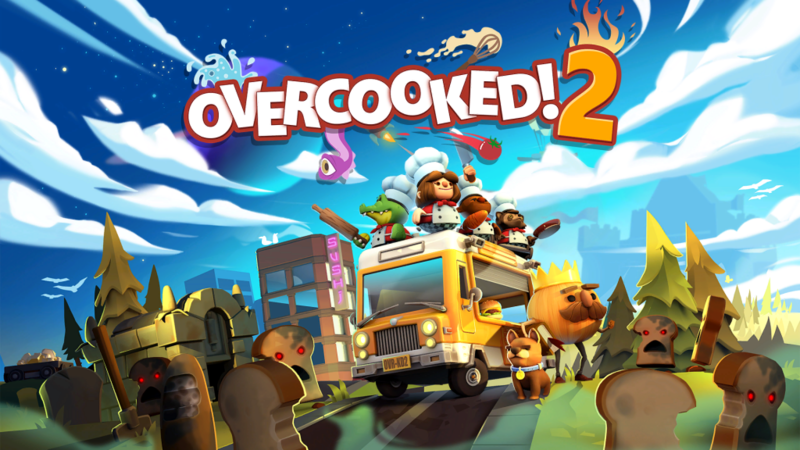 2 is everything I wanted from a sequel to one of the better couch co-op games out there with online multiplayer, varied levels, recipes that drive you mad, and more.